The White House Ornament Collection presents the Official 2013 White House Woodrow Wilson Ornament. The official 2013 White House ornament celebrates and honors the twenty-eighth President of the United States Woodrow Wilson and his administration (1913-1921). Wilson is most remembered for leading the United States during World War I and winning the Nobel Peace prize in 1919 for his quest for world peace and putting an end to all war. The main centerpiece to the 2013 White House ornament is an American Elm tree which President Wilson planted December 18, 1913. 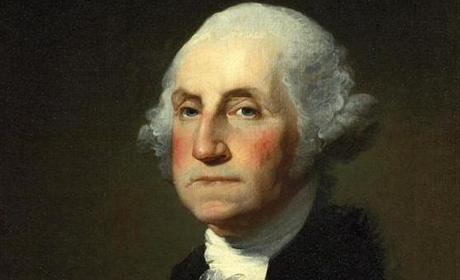 The tree was planted in the North Lawn of the White House as a symbol of hope the country desperately needed during the Wilson administration and World War I. Surrounding the Elm tree is a frame that is plated in 24-karat gold. The frame consists of elm leaves and a wreath of olive branches, and holly trees surrounding President Wilson's monogram. The bottom banner reads, "The White House Christmas 2013" and has peace doves with olive branches on either side. 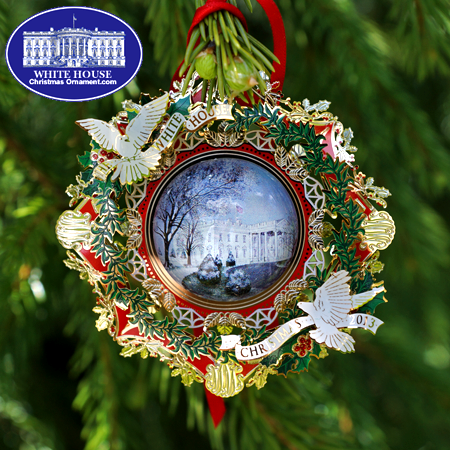 The reverse side of the 2013 White House ornament has the quote, "Peace must be planted upon the tested foundations of Political liberty." This quote was part of President Wilson's War Message to Congress delivered on April 2, 1917.